Good idea Julie and fantastic penguins Susanne! I believe the Panini was made to be funny but the Elastolin is unbeatable, mainly knowing it was made to look realistic! Here is the most part of my penguins to celebrate! It is great to see how the ones that Kosta gave to us both, stand out with the great poses ! Many other nice ones also, - what brand is the one with his beak up in the air ? The Croc doesn't collect exactly penguins, just different species although half of them are not different at all. I agree these penguins from Kosta are really very good and have very nice poses. The penguin you're asking is a K&M Empero penguin from the Wild Republic Artic Tube. Here a picture for you. Susanne, your penguins are funny, but they are both very charming, despite the strange colour and anatomy. Roger, you've got so many penguins; I really enjoyed watching them! Yes, Julie is the Queen of cuteness! 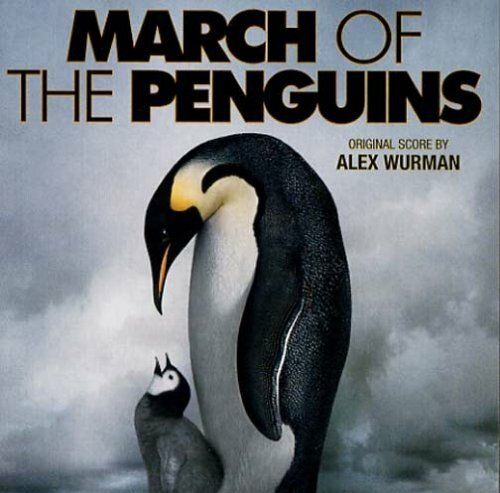 Sadly I don't have any penguins Yet The emperor penguins are amazing, has anyone seen "March of the penguins" ??? It is an amazing documentary! The things that they do to survive! The emperor penguins are amazing, has anyone seen "March of the penguins" ??? As this penguin is rare and I believe it is not yet in this topic, I wanted to share it here too. The SSS yellow-eyed penguin that I received today from Brandon! Ha, you love penguins! Now I understand better your interest in the SSS penguin, I really hope you can find it and enrich even more your great collection of penguins. It is nice to see a king penguin taking care of emperor chicks as Schleich teached us. I just did a big order on Yahoo!Japan on penguins Colorata collection (13 pieces) and Kaiyodo (10 pieces) when they come to me, then I'll post pictures! !! I can not wait to see my herd will consist of 50 individuals and that every species, including Yellow-eyed, Sclater's and Macaroni penguins ! That is a wise decision, specially Colorata set is very interesting and diversified. Looking forward to see them. Very nice collection of penguins indeed! And, yes, colorata set will be great addition too! I'm still waiting for Royal Penguin, Magellanic Penguin, Humboldt Penguin by Kaiyodo, and Colorata with 14 figurines. I am very happy, this is the only model of this species, it is only Kaiyodo. Wow, I haven't seen this thread before. What a difference fro, page 1 to page 13! This is super awesome! This is such a wonderful topic, and a fabulous collection!! I didn´t know it until about ten minutes ago, but I love penguins, too! :-) I just googled Emperor penguin chicks images, and oh my god the pictures that come up are completely adorable! They don´t even look real! Super love your collection and the display! [You must be registered and logged in to see this link. ], congratulations for all your new penguins. I think that's a fabulous thematic to be collected and it is not anymore boring like before when market was filled with unspecified penguins or emperors. :) Please let me know if you find an extra Colorata, especially the Adélie penguin. I love all them... I Love all my penguins !!! It seems your beautiful cat also loves penguins! You got Colorata, heaven is yours, the closest I have to a Colorata penguin is the similar Safari chinstrap. About Schleich... ... the company was always ambiguous with their penguins. That figure you acquired was always sold as a king penguin, I have to check how it was called in a German catalogue once I can't remember. Though, despite the bright colors ressembling more a king penguin, the dark back and ear patch are clearly from an emperor. Remember that the later group of chicks, that are undoubtfully emperors, were also sold as king penguins chicks. I suggest that these ambiguous Schleich penguins should be called chancellor penguins instead. Sorry for double post but I want to share another story with you once you're clearly interested in penguins. In 2011, German Chancellor Angela Merkel adopted a humboldt penguin of a German Aquarium and called it Alexandra. In 2012, Schleich started the production of a new penguin, interestingly the most similar to a humboldt, the African penguin released in 2013. I am not sure if there wasn't a little mistake here again. Only to keep things clear, I am not sure it is a mistake of course, Schleich is a German brand and media events have often influence in some decisions of most brand releases. Probably there's no connection between Schleich African penguin and Alexandra but that's an interesting coincidence nonetelless. Schleich call correctly their figure as an African penguin and it is correct contrarily to these King penguins I commented previously. Oh no, please no Merkel here. Andreas, that's not a political comment from me, it could be Mickey Mouse instead. Andreas, have thought the same, when I saw the pictures! Poor Alexandra. Look at CollectA's African Penguin making an entrance! From left to right: Papo Emperor Penguin - CollectA Gentoo Penguin - S&N Little Penguin (repainted into Adelie Penguin) - CollectA Rockhopper - CollectA African Penguin.